The Isle of Man is the obvious place for a Ducati TT2 and TT1 symposium as it was the place that gave these race-winning motorcycles their name. In 2017 it will be 35 years since Ducati TT2s first raced – and won – at the Isle of Man TT and to celebrate, between August 25-28, 2017, fans of the TT2 and TT1 are invited to join people who raced and people who have spent years studying them. 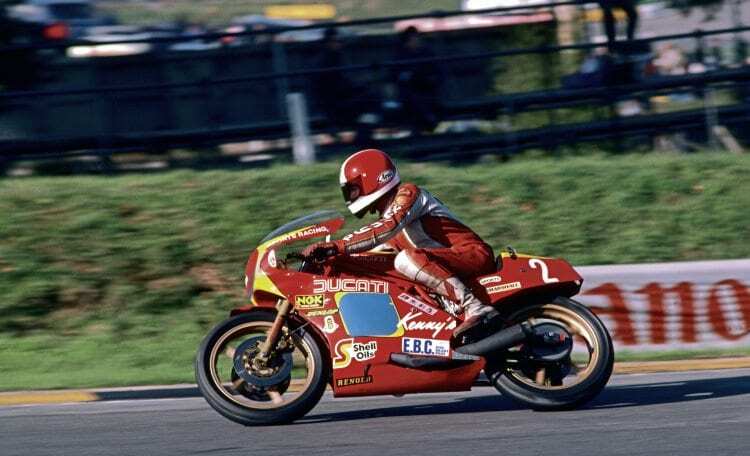 Guest of honour will be Pat Slinn, who was Tony Rutter’s mechanic for each of his world championships, as well as being a member of the Mike Hailwood and Sports Motorcycle team. Based in a marquee in the Classic TT Paddock there will be opportunities to learn more about the racing history of the TT2 and TT1, and see some of these beautiful motorcycles both on and off the TT Course. There will also be the chance of a guided coach tour of the TT course and a closed roads parade. It is planned to make a block booking in a hotel, within walking distance of the symposium’s marquee and to allow people to meet and eat together over the weekend. If you’d like to join in please register your interest as soon as possible, giving details of how and when you will be travelling and if you would like to bring your bike. You may also want to pencil in the bank holiday weekend of August 24-27, 2018 when, on the 40th anniversary of Mike Hailwood’s Formula 1 victory for Ducati, there will be an opportunity for 40 owners of Ducati Mike Hailwood Replicas to join in the celebrations.